What is the Barbecue Stacker? Whilst your kettle barbecue is already versatile, the Barbecue Stacker expands its capabilities further. You can do so much more with the addition of the Barbecue Stacker. Convert your 18" or 22.5" (47cm or 57cm) kettle barbecue into a smoker, large oven or double the grill capacity with this extender. There are three models available, the Backyard Barbecue Stacker can be adjusted to fit both 18" or 22.5" (47cm or 57cm) sized kettle barbecues and the Deluxe Barbecue Stacker designed exclusively for 57cm barbecues. 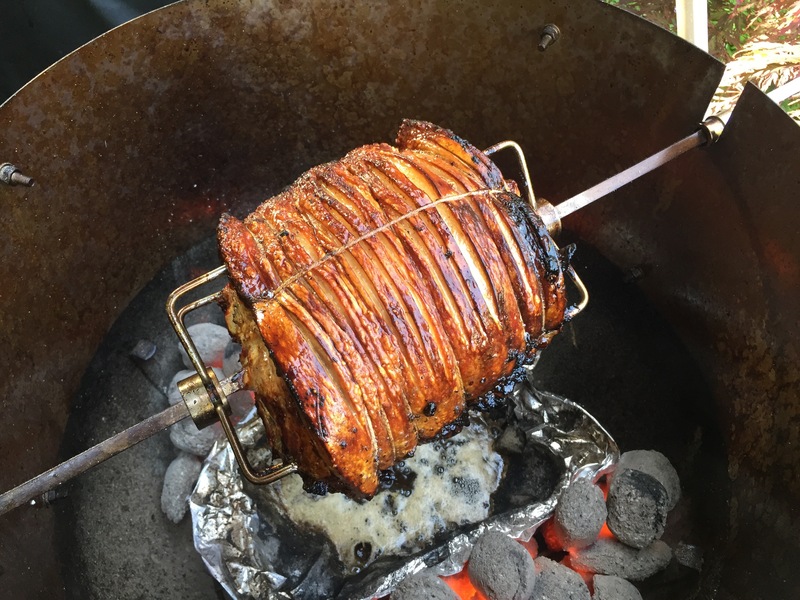 We are also delighted to offer the enhanced Backyard Barbecue Stacker +Rotisserie which takes things to a new level adding a rotisserie capability for 18" or 22.5" (47cm or 57cm) barbecues. All models let you convert your barbecue into a smoker, increases lid height and doubles grill space. The Deluxe Barbecue Stacker is our flagship product designed exclusively for 22.5" (57cm) kettle barbecues and like the Backyard models can be used with smokers too. 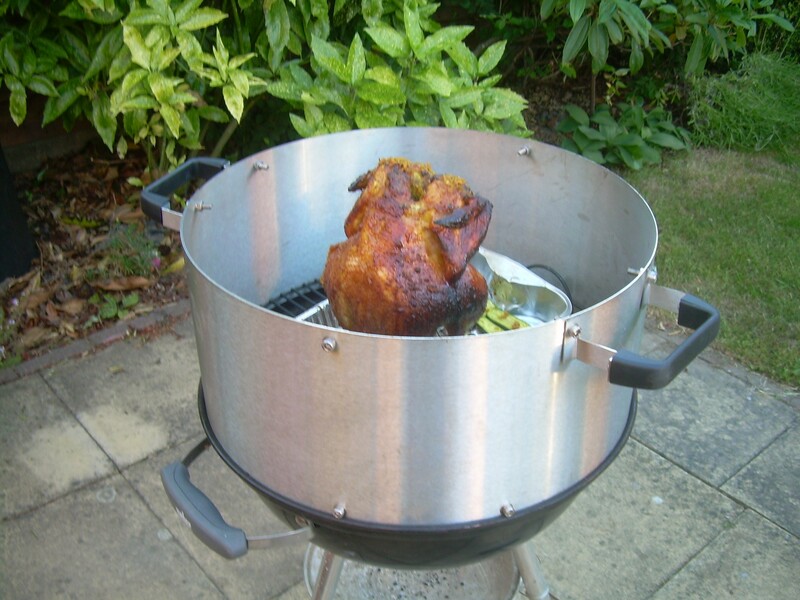 The Backyard Barbecue Stacker +Rotisserie is the only rotisserie system for 18" (47cm) and 22.5" (57cm) kettle barbecues. 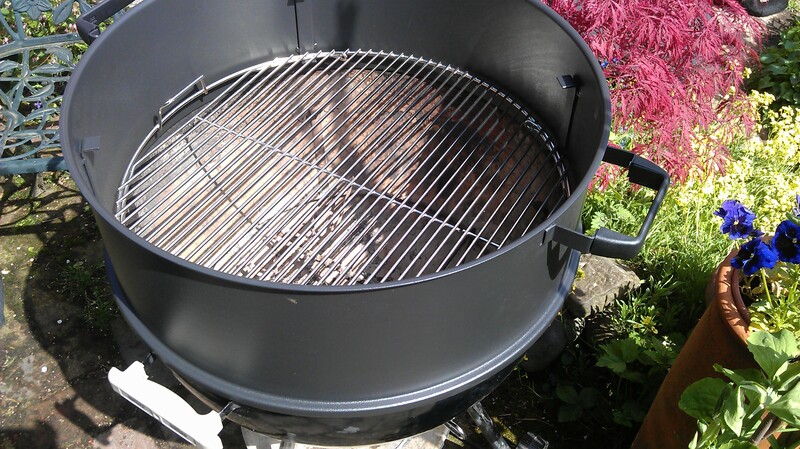 It is adjustable and can be used with kettle grills from many manufacturers including Weber and Cadac. The Backyard Barbecue Stacker is a great way to add additional grill space, increase lid height for extra space and as a smoker. Read on for more information or take a look at the common features of all the Barbecue Stacker models. Buy with confidence. 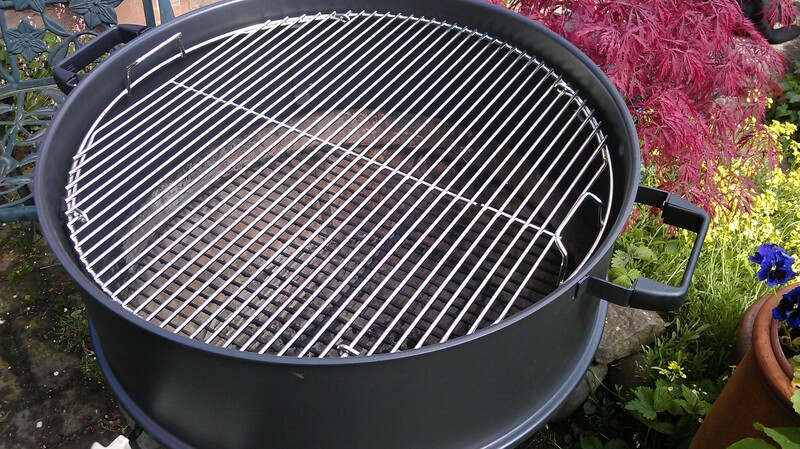 The Barbecue Stacker fits Weber Kettle barbecues, Weber Smokey Mountain Smokers and many more. The Backyard Barbecue Stacker is designed to be flexible and can be used on both 18" or 22.5" (47cm or 57cm) sized kettle barbecues and smokers. 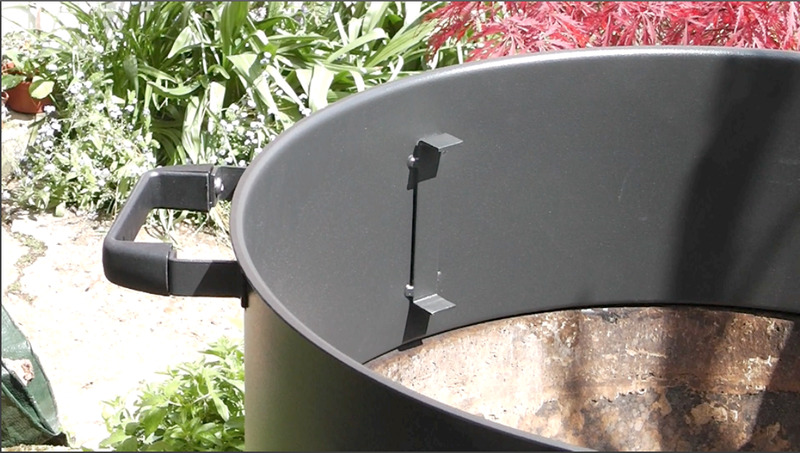 The simple construction brings more cooking space and greater lid clearance to your barbecue. 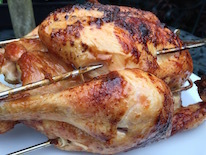 Convert your barbecue into a smoker or cook beer can chicken easily. Long lasting and attractive, the Backyard Barbecue Stacker is manufactured from high quality brushed stainless steel. Not only does this look great in your garden but ensures long lasting resistance to the elements. 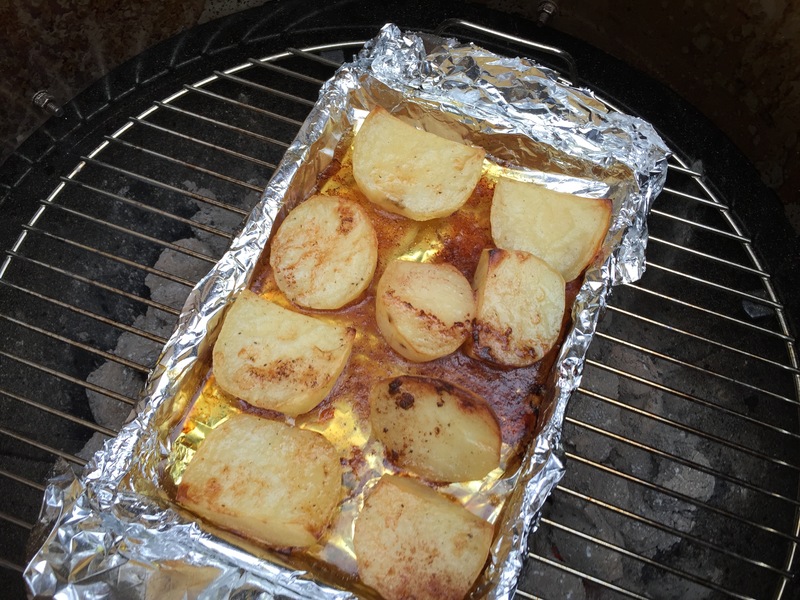 Stainless steel also has great thermal properties, keeping the heat just where you want it, inside the grill. Order your Backyard Barbecue Stacker in the Shop, for 18" or 22.5" (47cm or 57cm) barbecues. Introducing the Backyard Barbecue Stacker +Rotisserie! The Backyard Barbecue Stacker +Rotisserie is the only 4 in 1 stacker product that expands your barbecue's capabilities further. Designed for 18" or 22.5" (47cm or 57cm) kettle barbecues, the Backyard Barbecue Stacker +Rotisserie is the most versatile accessory you can buy. 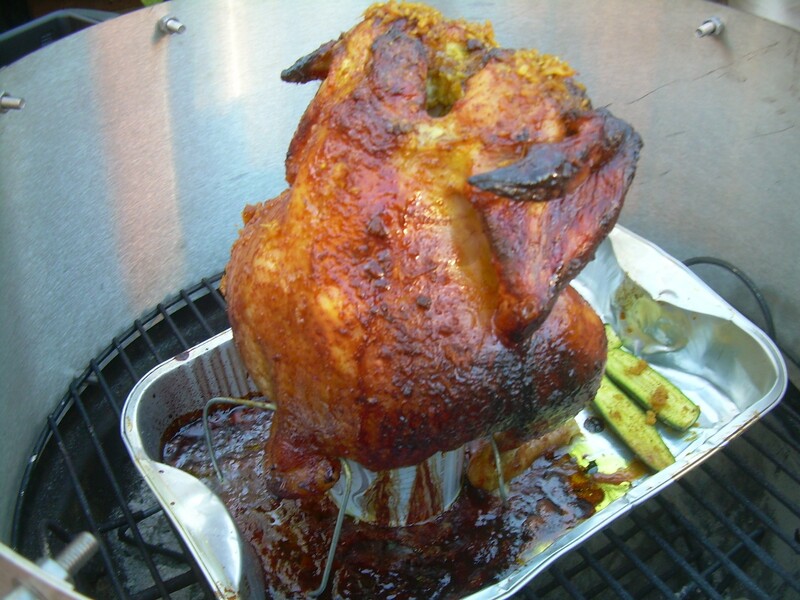 In addition to rotisserie, you can convert your barbecue into a water smoker, increase lid height and double your grill space. 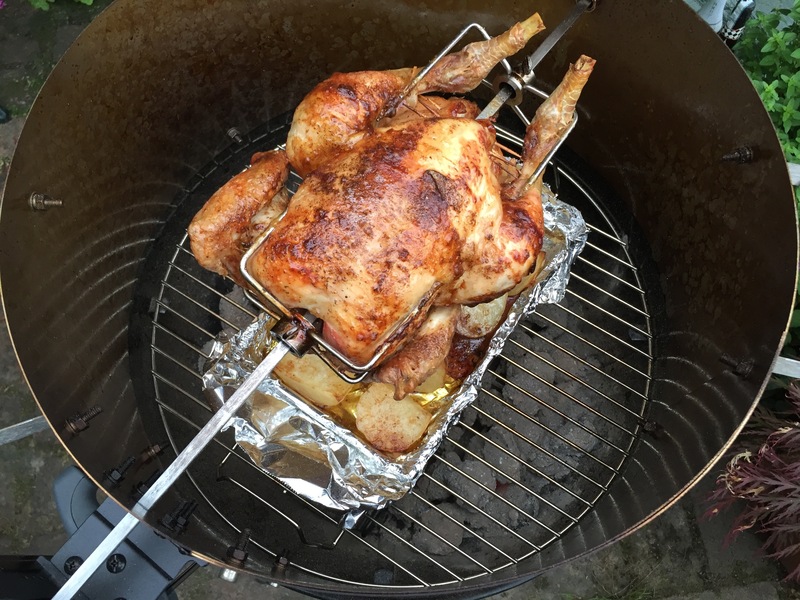 Special covers can clip on to the Backyard Barbecue Stacker +Rotisserie covering the holes required for the rotisserie system when you want to take total control over airflow. 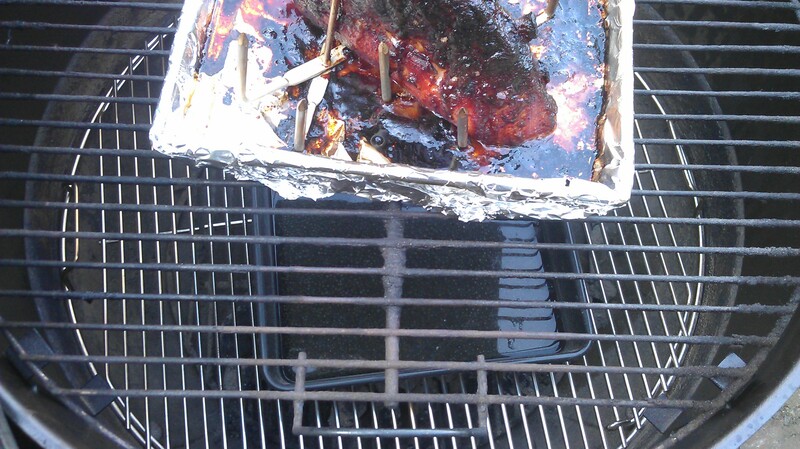 The clips close these gaps when you are smoking using low and slow cooking temperatures. 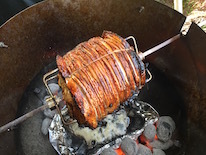 The Backyard Barbecue Stacker +Rotisserie boasts a powerful dc motor with 28kg of torque (200lb/ft) which will keep chickens, pork loins or anything else you choose to cook turning. Also supplied is a counter weight, to help everything turn smoothly and cook evenly and a spit bush also assists with smooth rotation at approximately 2.5 rpm. Battery power means that the Backyard Barbecue Stacker +Rotisserie can go anywhere. Take it camping with your favourite camp grill when you are away. The Backyard Barbecue Stacker +Rotisserie is now available in our Shop, for all 18" or 22.5" (47cm or 57cm) barbecue grills. If you want optimal temperature control for your low and slow smoking then the Deluxe Barbecue Stacker is the Barbecue Stacker to choose. It is designed for a closer fit on your 57cm (22.5") barbecue to keep the smoke inside your barbecue and ensure your vents are in control of your temperatures. Two grill heights for greater cooking capacity, cook beer can chicken or larger items like turkey without fouling the lid. Utilise the two grill levels to adjust for higher or lower temperatures. 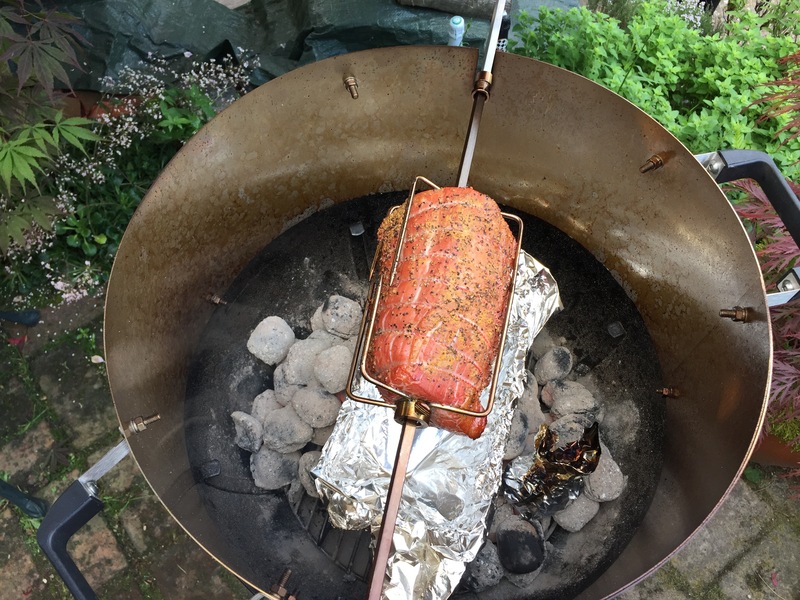 Easily converts your 22.5" (57cm) kettle barbecue into a smoker. Or increase the space in your existing smoker. Manufactured from aluminium and with a high temperature paint finish for supreme, long lasting quality. The Deluxe Barbecue Stacker is precision engineered from a single piece of aluminium for optimal fit. The close fitting Deluxe Barbecue Stacker puts you in full control of the ventilation, crucial for advanced temperature management. The design provides strength and will maintain shape as it heats and cools. 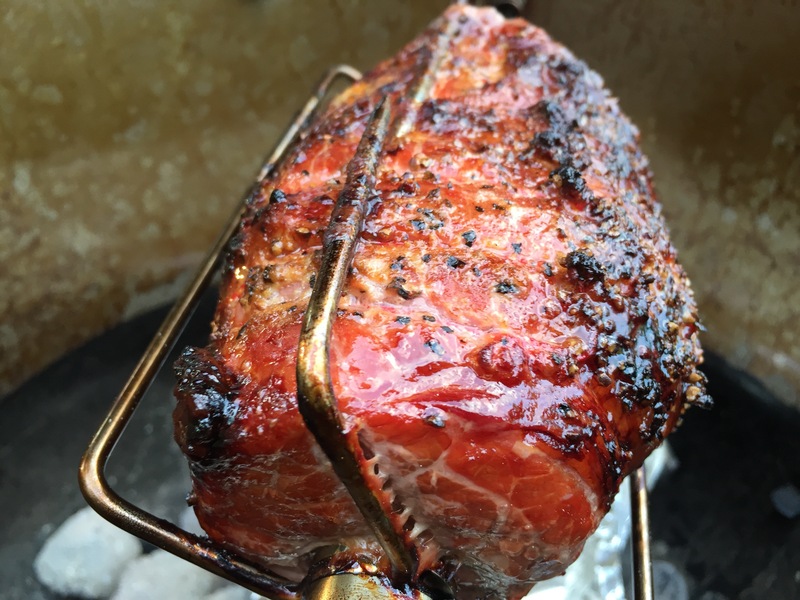 It sits steadily in place with a formed edge to fit over your barbecue. 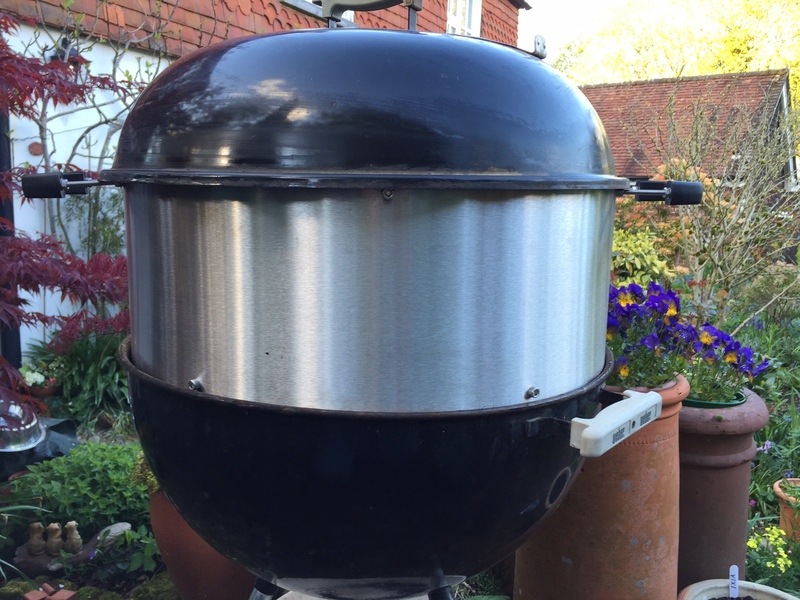 When using the Barbecue Extender, the heat and smoke are kept within the barbecue, just where you need it. High temperature resistant powder coat paint finish - Gives a long lasting finish that will continue to look good in your garden. Order your Deluxe Barbecue Stacker in the Barbecue Stacker shop now. Grill, smoker and oven capability. 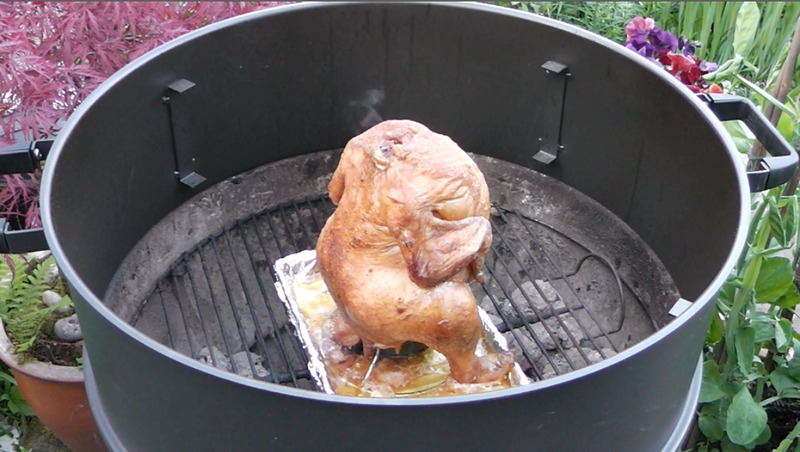 Cook low and slow without having to buy a dedicated smoker which takes up valuable storage space. 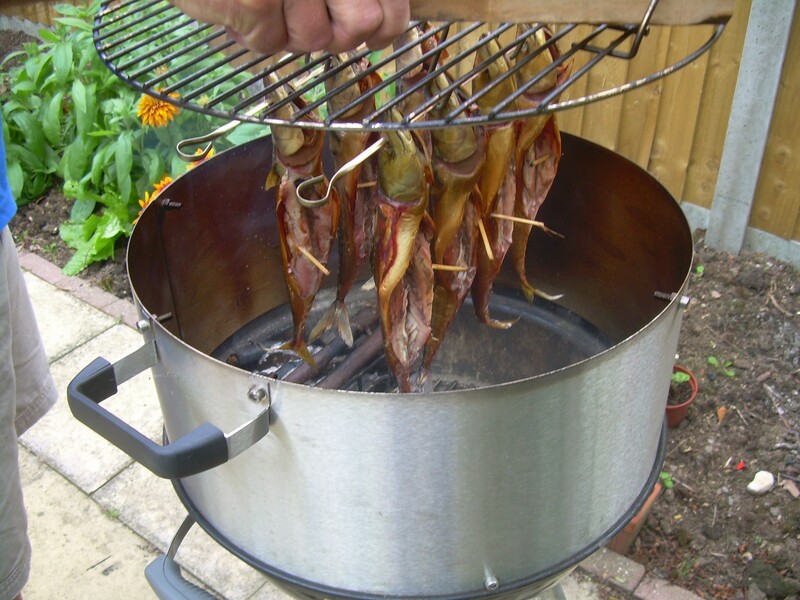 Instead use the Barbecue Stacker to convert your kettle barbecue to a water or bullet smoker. 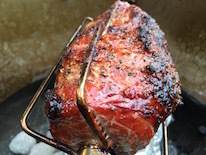 Grill or roast more food at the same time - great for parties or big appetites. 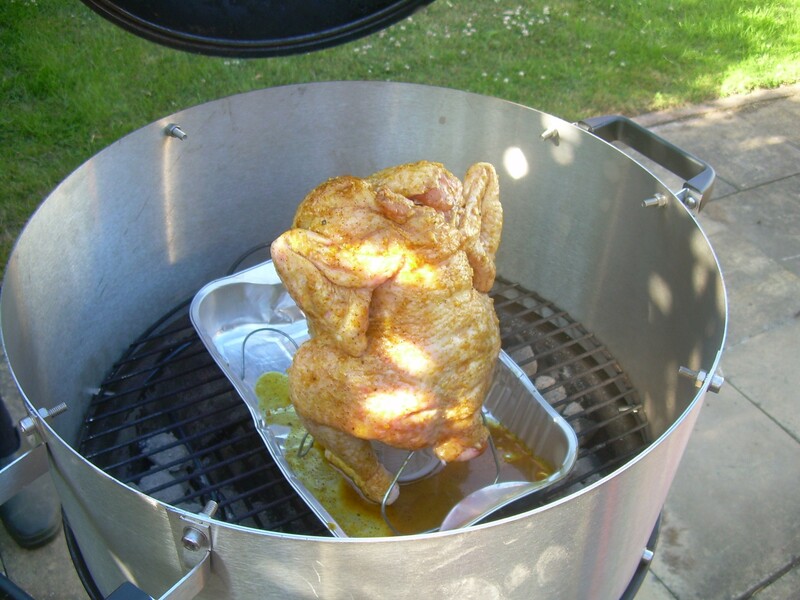 Raising the lid makes cooking large items or beer can chicken easy and without the worry of the lid not fitting. Consistent cook times and full temperature control with your barbecue's vents. 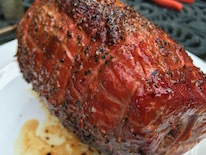 Having total control of your barbecue is vital to producing great barbecue food. 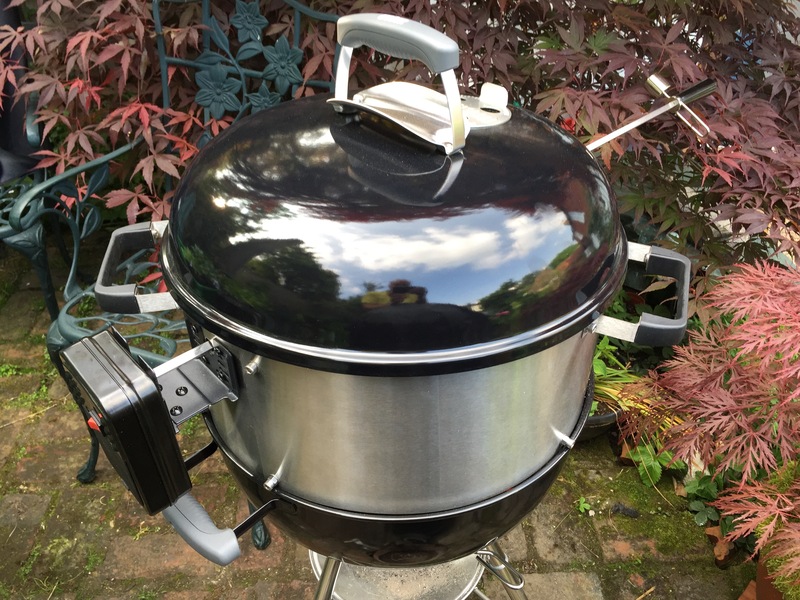 Designed to fit common kettle barbecues, the Barbecue Stacker sits between the grill and lid expanding the cooking space while ensuring full temperature control by the barbecues vents is assured. Weather resistant handles let you remove the Barbecue Stacker to add more charcoal, wood chips and simplify access to a water bowl and drip tray. And if you forget to cover your barbecue, your handles will still look great. We ship internationally and if a courier will price it, we can ship it. Order yours now in the Barbecue Stacker Shop. 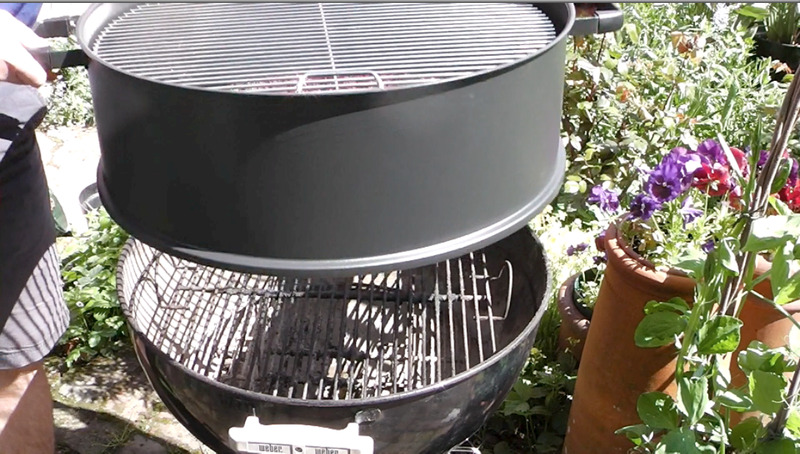 Barbecue Stackers can be used with all makes of barbecue and smokers. 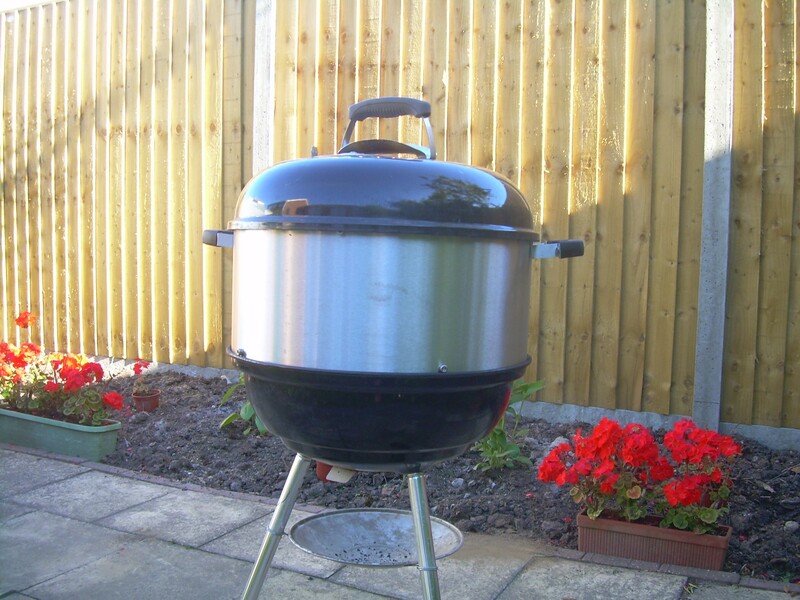 The Deluxe Barbecue Stacker is designed for 22" or 57cm diameter barbecues and smokers. The Backyard Barbecue Stacker is adjustable and will suit both 18.5", 47cm, and 22", 57cm, barbecues and smokers. 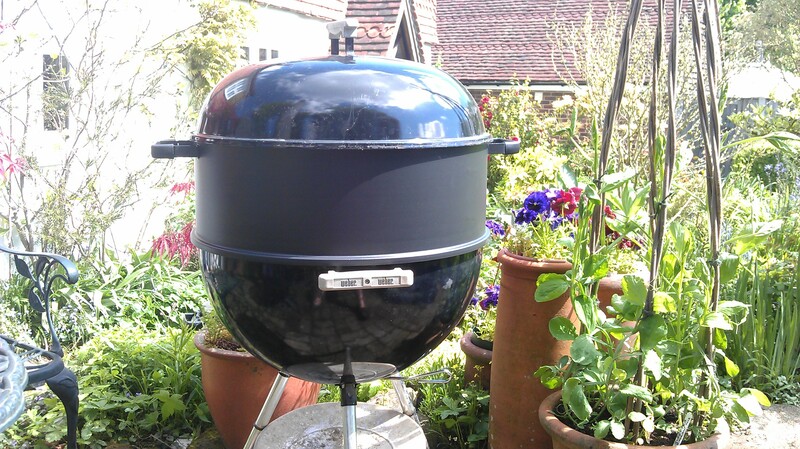 Barbecue Stackers have been used by us and our customers with Weber Kettle barbecues, Weber Smokey Mountain smokers, Cadac barbecues and Dancook barbecues. Those are the ones we know about, if you aren't sure, just drop us a line.